Blurb: Dave Taylor is an Aussie tour guide specialising in trips through the Queensland Outback. In some ways, however, Dave himself feels lost. He has been alone this past year, since his childhood sweetheart Denise left him and married another man. Change comes via Dave’s latest rather unexpected client, Nicholas Goring, the youngest son of an English earl. Nicholas is on the hunt for an undiscovered species of butterfly, and has hired Dave to help guide his quest. Although the two men are from very different backgrounds, they become friends, and soon their relationship grows into something more. But how easy will it be for an Australian and an Englishman to find common ground? 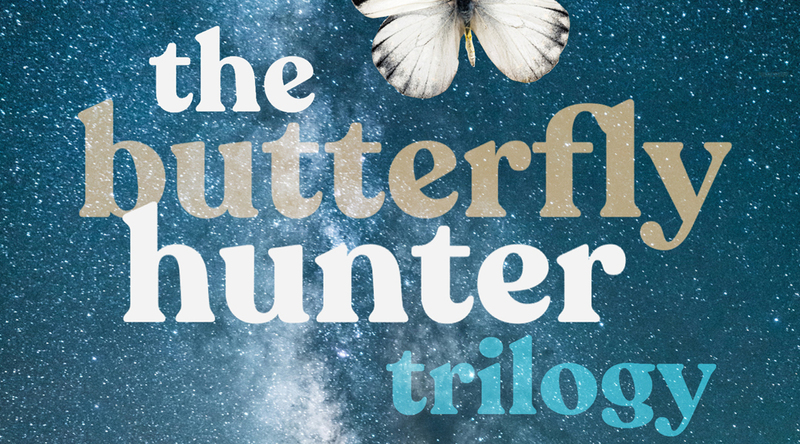 This boxed set contains the novels Butterfly Hunter, Of Dreams and Ceremonies, and The Thousand Smiles of Nicholas Goring, as well as the (free) short story Like Leaves to a Tree. Nomination in the M/M Romance Group Members’ Choice Awards 2014 on Goodreads, in the category Favorite All-Time M/M Series. Nomination in the M/M Romance Group Members’ Choice Awards 2018 on Goodreads, in the category All-Time Favorite M/M Series. First published by Manifold Press on 1 December 2014. 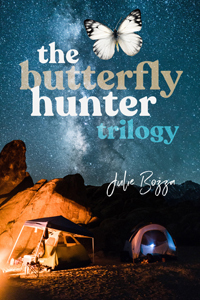 Slightly revised edition published by LIBRAtiger on 15 September 2018.